LGBT and diversity lessons have been suspended at a school following weekly protests by parents. The 'No Outsiders' project at Parkfield School teaches pupils about diversity in modern day Britain, including issues around religion, gender diversity and sexual orientation. Just this week, Ofsted ruled that the lessons were age appropriate following concern from parents, but now the Birmingham school has suspended the project 'until a resolution has been reached'. The programme at Parkfield Community Primary school was introduced by Assistant Head, Andrew Moffat, who was recently shortlisted for a global teaching prize for his work on equality and diversity. In a statement, the school said: "Nothing is more important than ensuring our children's education continues uninterrupted. Both parents and the trust held constructive discussions with the Regional Schools Commissioner, and, as a result of these discussions, we are eager to continue to work together with parents over the coming days and weeks to find a solution that will support the children in our school to continue their education in a harmonious environment. 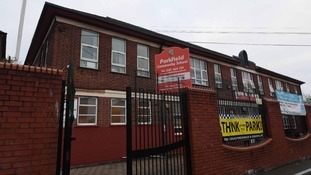 The protests were organised by Parkfield Parents' Community Group, who have welcomed the suspension. They said: "We made our position clear, that the No Outsiders programme cannot continue to be taught at Parkfield School and that a new programme needs be negotiated, with which parents are happy and meets the legal requirements of the Equality Act 2010." They have since suspended their planned protest for today (Thurs), adding: "We will await further developments early next week when we expect detailed proposals to be tabled. We will then review our actions with respect to protests and schoolwide withdrawal of children. "We welcome these developments and reiterate that the school needs to work with parents in a spirit of partnership and co-operation and not against them in educating their children."